Why Most Internet Marketers Fail and how you can avoid the pitfalls & achieve success. Hello, I’m Paul Scoplin from Bristol in the UK. 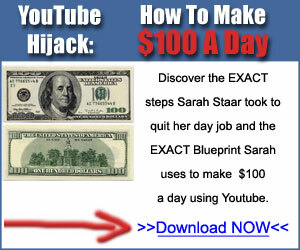 I’ve been an Internet marketer since 2008 a very degrees of success during those eight years. I recently discovered how to do things correctly and I really wish I had access to the information about to give to you when I started out! But I’ve always vowed that when I found out how to do this properly, I would help as many people as I can to succeed so now is your turn! Why People Fail at Internet Marketing. Well, other than the people who don’t take action, 99% of people fail because of incomplete training courses with bits left out. Imagine you’re trying to do a jigsaw puzzle and some pieces missing. Are you going to complete that puzzle? No, of course not… and it’s the same with Internet marketing. If you don’t have all the information then you’re not going to succeed. So is really not your fault. Probably, like me, you’ve bought many courses, you’ve taken action, you’ve built websites, squeeze pages, you’ve sent traffic to offers, you’ve done a number of things but never really found success. It’s because pieces are missing – you haven’t been told everything you need to know. Don’t worry, I’m about to change that for you. Over the years I’ve bought a number of courses that haven’t worked out for me. I’ve put a lot of effort into them but they simply haven’t made me any money. The general business model that people teach (the so-called gurus) are how to choose a niche, then you create a lead magnet such as a e-book or PDF, you create squeeze page, build a list, you sell affiliate products to your list, you create your own products to sell to your list, you keep selling to your list and you make dollar after dollar after dollar. You know, they’re selling you the dream basically. I mean, in theory, that business model looks like it might work but in practice, there are too many bits left out. The detail is missing and the devil is in the detail: without the detail you not going to make money. 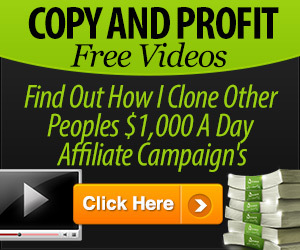 Well, firstly you need to select a proven and profitable niche. There’s no point going into a niche which isn’t proven and isn’t profitable. Rather than creating an e-book or PDF, which to be honest that did work back in 2008 when I started out – you could give away a free e-book and people would join your list, but nowadays you need to create something of massive value to give away such as a complete video course and it also needs to be a good course no rubbish. On to squeeze pages. You need to create custom squeeze pages to test and tweak and improve. You can’t just build a squeeze page and run traffic to it forever. In order to get a solid return on investment from your advertising spend and on your traffic (be it paid traffic or free traffic) you need to continually improve your squeeze pages. Now, fortunately (and this is something that really wasn’t available too much in 2008) there are solutions now to help you quickly build squeeze pages and test them and run them against each other and the is a lot quicker and easier than it was in 2008. And you need to learn how to successfully run traffic to your squeeze pages. You need to test traffic, tweak it, improve it and scale the winners. You try different traffic sources and you get rid of the ones that don’t work and scale the winners. Once people are actually on your list, you need to give them great content in order to help them reach their goals. You need to build solid relationships with your list and you’ll only offer them proven products. 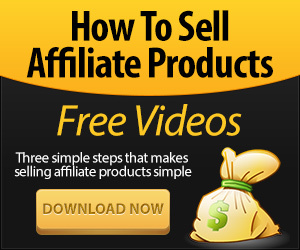 You will not try to sell them affiliate products that you’ve never tried yourself, affiliate products that people want you to promote just to make money you, will never do anything or promote things to your list just to make money. You will not spam your list with daily sales offers and by doing this you will create yourself a long-term business which should give you a dependable income. So What’s The Solution… and how do you learn all of this? Well the solution is Project Breakthrough 2.0 and it’s a 100% free course which leaves absolutely nothing out. You will discover how to build your own strategic custom sales funnels in the niche of your choice. If you’ve already joined, I urge you to go through the course as soon as you can. Make it your priority because your goals and your dreams depend on it! Don’t go off looking for other courses or shiny objects or other ways. So please go through Project Breakthrough as soon as you possibly can. Learn everything you need to know about how to reach success for yourself. If you wish to contact me, you can either use the Contact Form, find me on Facebook or you can reply to any of my emails.